The Netflix-Marvel collaboration is killing it so far!
) Jessica Jones is the story about a private investigator, Jessica Jones, an alcoholic retired superhero, who battles with the devil of her past, a mind controller known as Kilgrave. 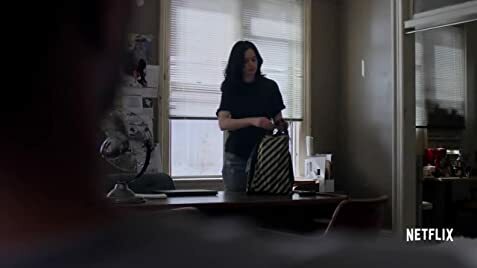 Learning about her rough past and her current problems, we learn that Jessica Jones is a very broken character that proves to be a compelling protagonist. After an admittedly slightly stale start, the show quickly began to pick up speed. The catalyst for this was the introduction of Kilgrave, the sociopathic adversary to Jessica Jones. His vile, delusional view of the world made him the character that I was most interested in by far. Of course, this was undoubtedly aided by David Tennant's stand- out performance. He owned every scene he was in, and was able to capture the anger and sadness of Kilgrave perfectly. Kilgrave might just well be one of the best Marvel villains portrayed on the screen. Not to mention his regular use of British expressions that make him a very likable enemy. 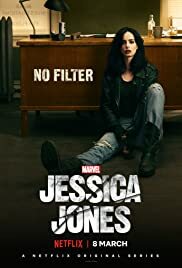 In general, all of the performances were very good, especially Krysten Ritter's sarcastic, threatening portrayal of Jessica Jones. The show looks very good as well; the shady, gritty streets of Hell's Kitchen were very good at reflecting the dark nature of the show. However, this show does have a few faults. The main part of the show was about Jessica Jones vs. Kilgrave, but there were quite a few distractions that seemed to distract from the main plot. For example, I really didn't care too much about the Hogarth divorce fiasco, it all seemed to take away the impact of the Jones/Kilgrave relationship. 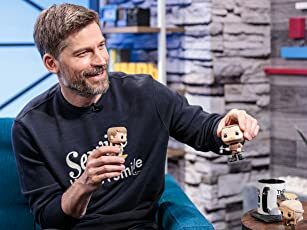 Cutting out the unnecessary parts would have made a shorter, yet better-quality show. obviously). This does allow for a very fresh perspective to the superhero genre, especially when compared to the very action- heavy films that Marvel produces. Overall, Jessica Jones is a very dark, enthralling show, and it provides a solid foundation for the build- up to The Defenders. 42 of 79 people found this review helpful. Was this review helpful to you?